Christmas Capercaillies at Leith Library – events this weekend! 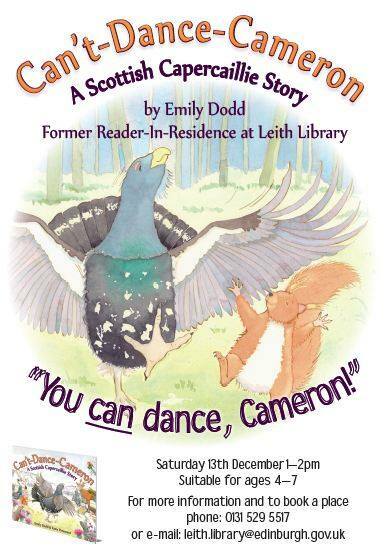 Leith Library’s former Reader in Residence Emily Dodd is back for a week of Christmas capercaillie fun. 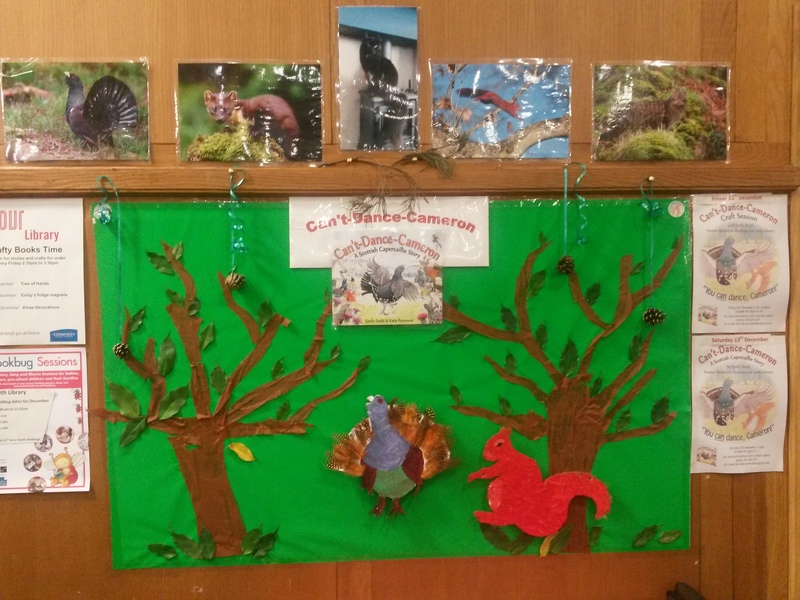 Events include local primary school and nursery workshops, capercaillie crafts and a Can’t-Dance-Cameron public event. Emily worked at Leith library 2.5 days a week between September 2012 to 2013 as the Scottish Book Trust Reader in Residence. She shared stories from the library on the Leith Library blog and using the Leith Library twitter account. The residency included 9 months in the library followed by 3 months funded to do her own thing. 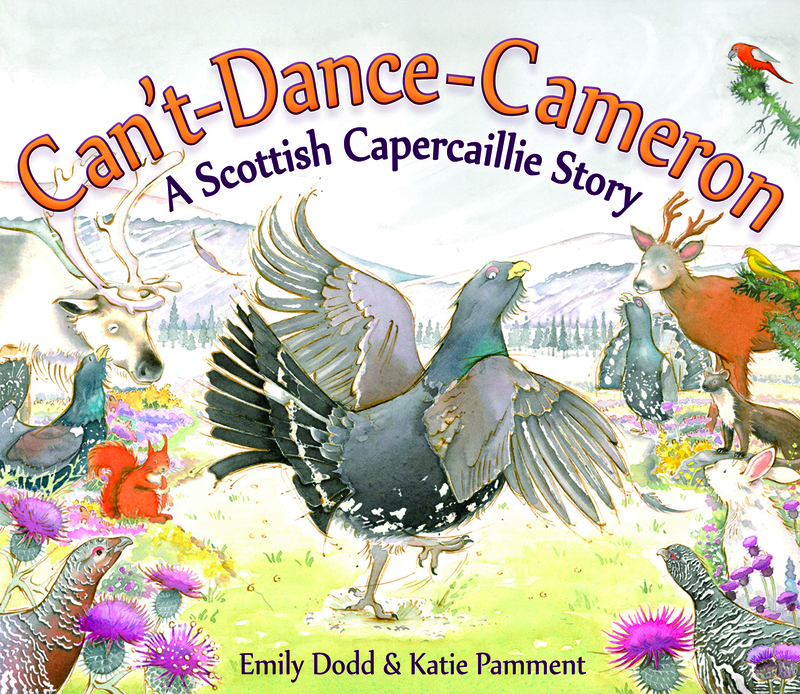 This funding enabled Emily to write her first picture book ‘Can’t-Dance-Cameron: A Scottish Capercaillie Story’. Emily’s events are known for being interactive with sounds, smells, science experiments, football pinecones and dancing – we have video evidence! Emily recently talked about digital storytelling at ELISA Open Forum 2014 using examples from her time working with Leith Library. She blogged about her top ten residency highlights here. Can’t-Dance-Cameron launched in September 2014 through Floris Picture Kelpies range and has been selling so well it’s already been reprinted. You can hire a copy from any of our Edinburgh libraries or buy it from all good book shops. Find Emily Dodd on her blog, on twitter (@auntyemily) or on Facebook. 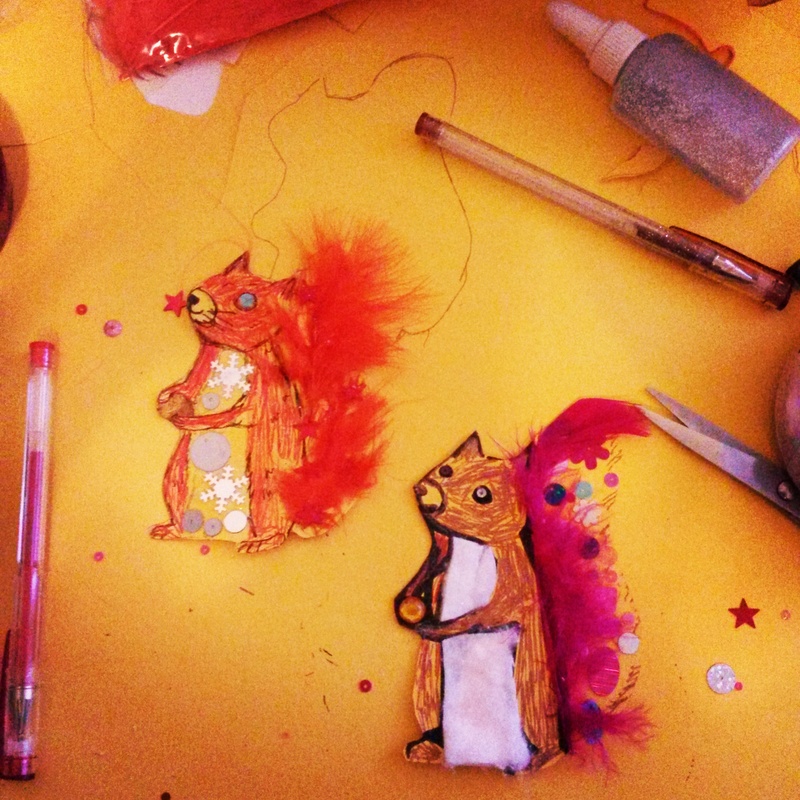 Fun events with @auntyemily in Leith Library this weekend!